It's been a little while since I've opened one of these Platinum blasters. I open these so rarely that I've pretty much forgotten what I'm looking for when ripping into them. The opportunity to get an autographed card is here, but as with all retail products, the odds are not in your favor! I have never really found OPC Platinum to be an exciting product to open. Even the hobby version just isn't that enjoyable. The main draw for this brand in terms of hits are the autographed rookie cards. Other than that collectors will dig out parallel cards of the main set. Parallel cards are all fine and good, but they have never been hugely popular with hockey collectors. Basketball collectors love them - and the prices show it - but with hockey, they have never really taken off. I'm sure Upper Deck wants OPC Platinum to be what Bowman Chrome is to baseball, but getting collectors to buy in like that is another story. Overall the set is pretty plain with very little that pops out for collectors to be excited about. Hopefully Upper Deck will put some hard thought into this brand when it is released again. As I expected, this blaster wasn't too terribly exciting... but it wasn't bad either. I got a pile of rookie cards, some retros, a parallel card, and a nice looking insert. I like the fact that a lot of rookie cards came out of this blaster. 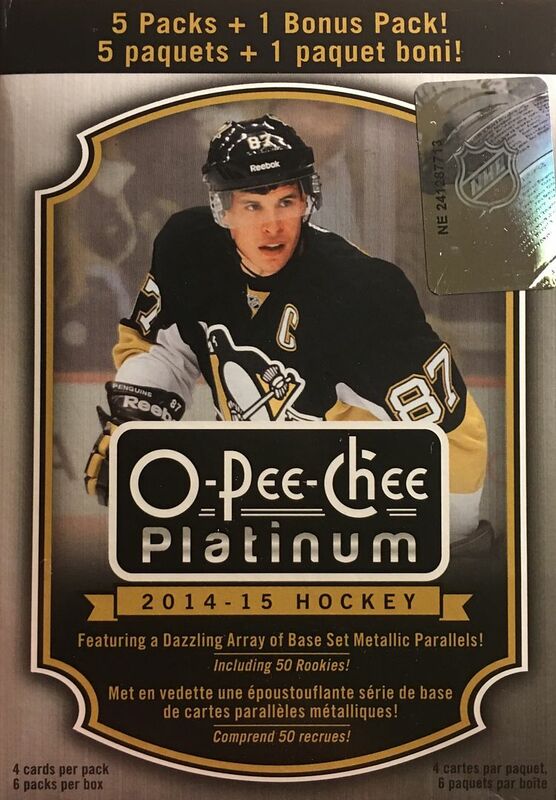 This product is really geared towards first year players, and collectors looking for an inexpensive way to pick up rookie cards don't have to look much further than OPC Platinum. One negative about this products, and products similar to this, is the bowing of the cards. These cards can hardly be stacked as they have a pretty significant bend to them. Be warned about this issue when you buy these cards. It's not extremely terrible, but it can be annoying. 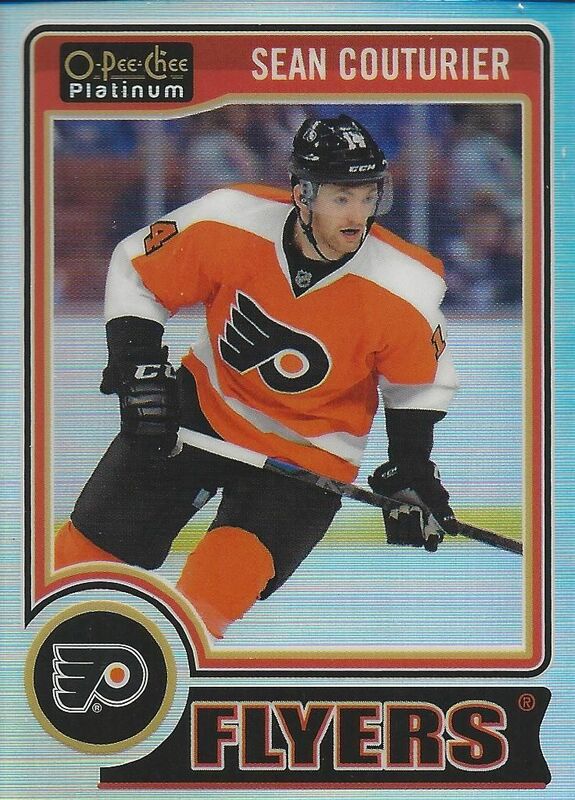 This was my only parallel card in the blaster, and it was a standard 'refractor' looking card of Sean Couturier. Couturier had a brief period of collector interest when he was a rookie and was one of the fabled /99 rookies in The Cup. I haven't heard much from him in the years following his rookie season though. I've got a huge amount of respect for the likes of Zetterberg and players like him who have been in the league for a while. He's a great NHL player and probably should be more on the hobby radar than he is currently. Wow, another Red Wing... but that's what happens when you win a lot. This is by far my favorite card from this break. 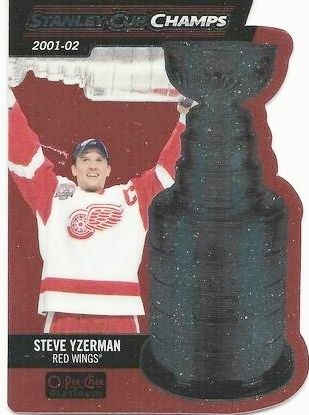 I like the die-cut and cards of champions with the Stanley Cup are always good. Though I didn't get an autographed card, I still enjoyed the cards out of this blaster. 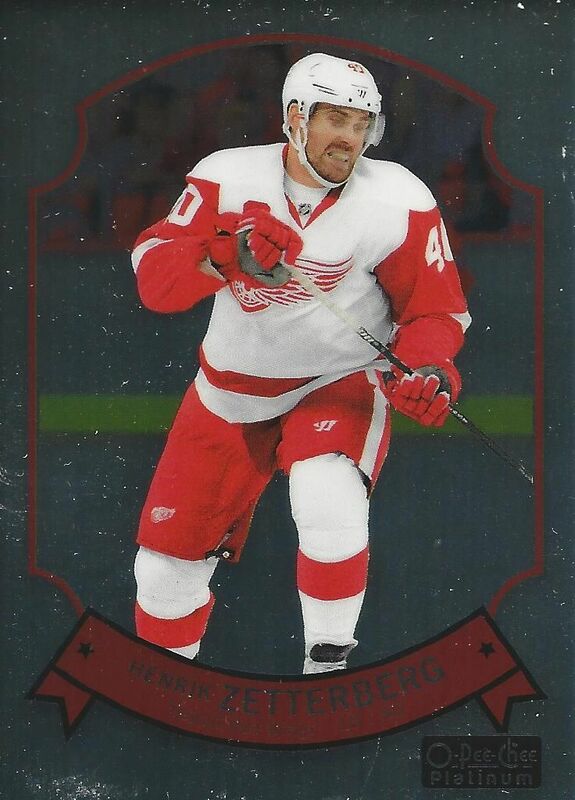 I especially liked the Yzerman card. It surprised me as I forgot the OPC Platinum contained die-cut inserts in it. I wonder how many of these blasters I would have to buy until I came upon a rookie autograph. It really makes me wonder! I never opened this but at least it seems better than Black Diamond, Artifacts and Fleer Ultra 14-15 at the retail level. Never have opened any kind of OPC to be honest.. Never really knew what to look for as like UD (Young guns).